DMG Gardening - Fencing/Gates, Garden Services based in Emmer Green, Berkshire. 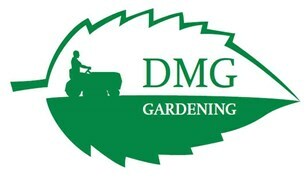 DMG Gardening is a local gardening business based in Emmer Green, Reading. It was set up by Daniel Morley in 2008. Since 2008, the company has more than doubled in size and Daniel has a large team to provide the best service possible to all clients. DMG Gardening prides itself on providing the highest quality gardening services and has built up a loyal client base over the past few years. DMG Gardening also has a qualified tree surgeon and can undertake all aspects of tree work. Daniel personally visits his customers free of charge prior to undertaking any work to discuss their requirements, provide full and accurate quotations and provide honest advice. His 6 year industry knowledge allows him to assess exactly what work needs to be done and the most efficient way to do this, both in terms of time and cost. DMG Gardening also has a close relationship with a garden designer.